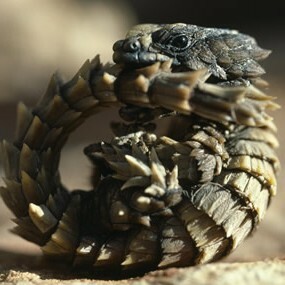 This animal, as you can see is called a armadillo lizard. These tiny lizards live in the deserts of the South Africa. 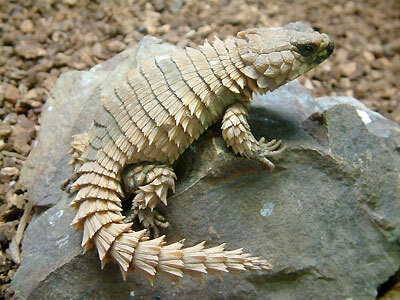 They have unusual square-shaped scales and a crest of spines along the neck and tail. 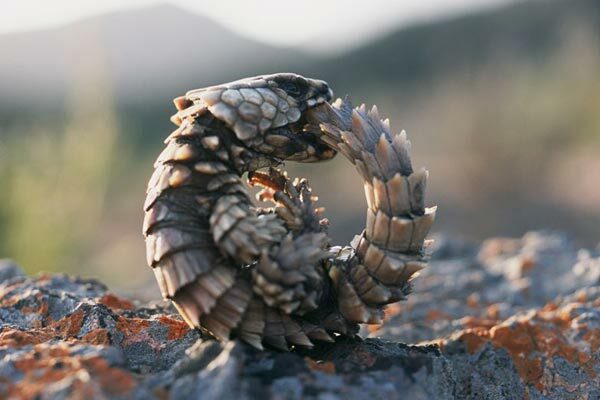 If attacked they curl round and bite their tail to protect their soft belly, just like an armadillo. They also hide in crevices and puff themselves up so they can not be disloged. 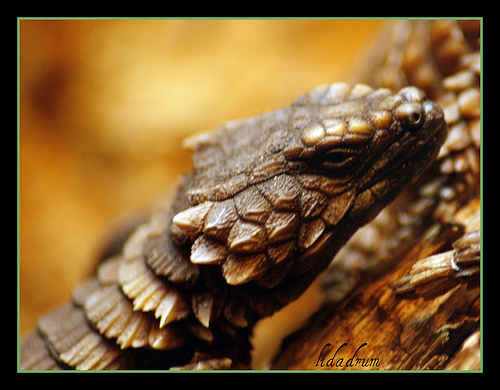 Armadillo lizards are live-bearers and sometimes live in colonies of up to 40 individuals.